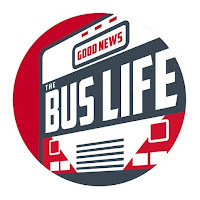 Our new "The Bus Life" merchandise is here! we receive some of the greatest blessings. Watching your family work together is so moving. As followers of Jesus i know that you make your marriage a working one which so many young people these days don't do and it is good to see you two working together with your children. I told you in another video that my husband and i are doing a schoolie. We are a bit older though and have a few set backs, but we are moving forward. Money is hard with us so we be going slow, but we are going to do it. I love your videos but we don't have the funds to buy one of your lovely shirts at this time. Maybe another time. Keep up the videos i really love them as i am learning from them. I took welding as a young woman so you aren't teaching me there, but i would get some welding leathers if i were you. They protect your body.